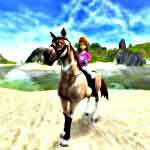 Tags: Feed your horse, Horse competitions, Horse jumping, Realistic, Take care of horses, Train horse. In Horse Illustrated Championship Season, you will learn everything you need to know about taking care of horses. 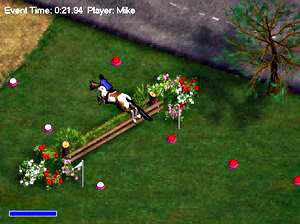 Even feeding horses can take some skill and you will get to perfect here in this great game! Horse Illustrated Championship Season is extremely realistic. I know how much work it is to care for a horse and this game does a good job of teaching this. 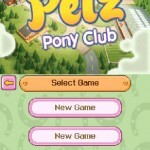 If you want to learn more about how to take care of a horse, this is a perfect game. You get to groom, feed, tack and ride four different horses, depending on skill level. I learned a lot from watching the videos on equine care, riding techniques and first aid. Participating in the scavenger hunt and trivia game is a way to earn points to advance to four different skill levels. I liked participating in the three different challenges; dressage, show jumping and cross-country. Each event even has an announcer. As you progress through the game, the courses become more and more difficult. The background changes with each course. 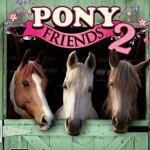 Each of the four different horses has their own strengths and personalities, which makes the game interesting. The barn area looks realistic, as well. The lounge has a microwave, VCR and fridge and is stocked with fun things to explore. 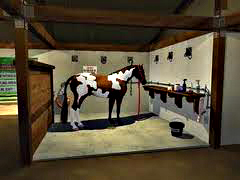 There are five stalls to clean and a function to water the horses. The last stall has a cute goat in it. The tack room is also enticing with lots of different saddles, bridles and interesting books to read. In the feed room, you can sort out the type and amount of hay to give your horse. The game is easy to learn and master if you practice and may become boring to the avid gamer after a while. 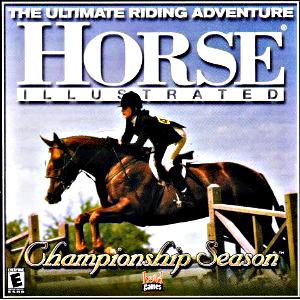 However, if you want to learn more about how to take care of a horse including everything from anatomy, to grooming as well as feeding and working around the barn, this game is a great choice. It teaches responsibility and shows just how much work needs to go into caring for a horse. I loved this game when i was a kid. It’s fun to play but can get boring after awhile. It’s also pretty glitchy sometimes. But it’s great for people who want some good nostalgia.